The peninsula Ahlstrandhalvøya is, strictly speaking, a whole series of small peninsulas with adjacent islets on the southern side of Van Keulenfjord. 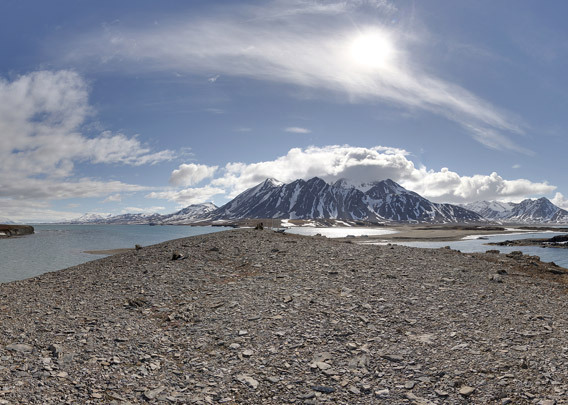 Spitsbergen’s beautiful west coast scenery finds a culmination on and around Ahlstrandhalvøya due to the many coastal features and the panorama of the surrounding mountains, which clearly display the structure of Spitsbergen’s geology from the strongly folded and uplifted west coast to the tectonically rather undisturbed Central Tertiary Basin. 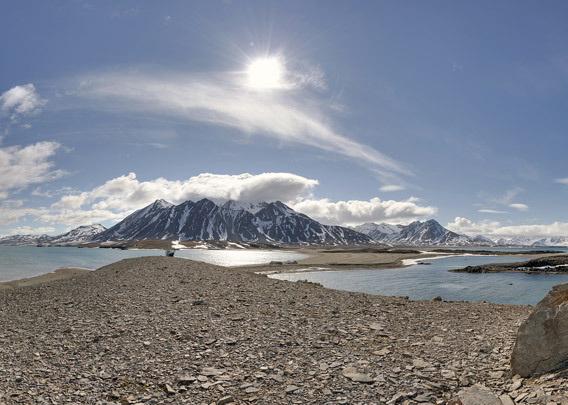 All the landscape features on Ahlstrandhalvøya have got different names, so some refer to this place as Kapp Toscana (this is actually where the hut Bamsebu is located), Richardodden or Fleur-de-Lyshamna. 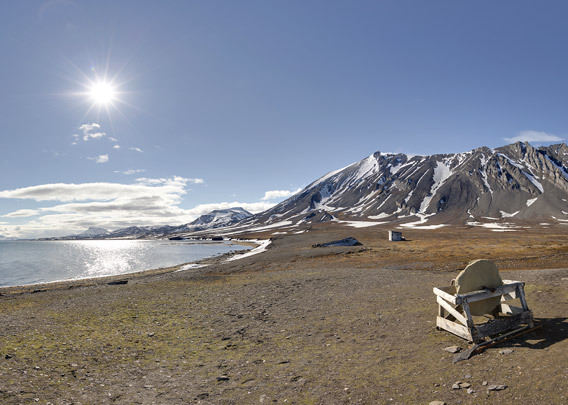 The last panorama shows Bamsebu, one of Spitsbergen’s nicest huts – who wouldn’t want to spend some time here? – and one of very few huts in the large protected areas that are still private property. This part of Ahlstrandhalvøya is the area that is actually called Kapp Toscana.